Perfect for displaying in your home for Valentine’s Day or really any time of the year you want to celebrate love, download and print these free Valentine’s Day Printables! Hi there! 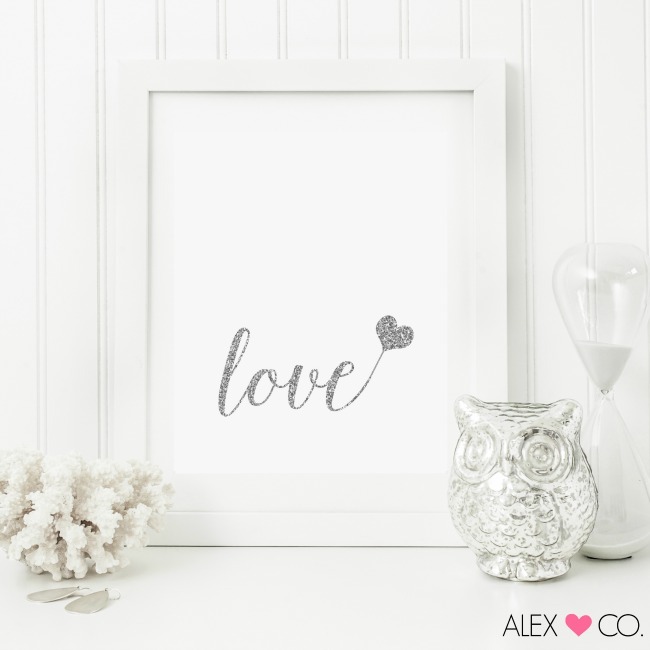 I’m Shawn, creator of the sweet printables at Alex & Co., and I am super excited to be here with you. Today you may be nursing a decorating hangover from the holidays, so how about a FREE Valentine’s Day Printable? Or maybe TWO? 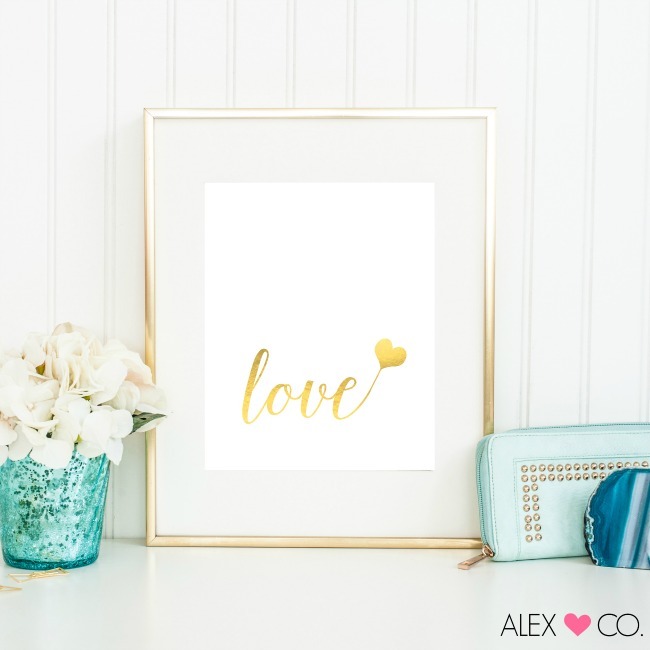 I created two classic Love printables inspired by my addiction (and hopefully yours) of faux gold foil and faux silver glitter, just for you. 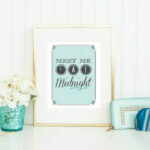 Printables are a fun and inexpensive way to quickly refresh any room decor. What I do in my home is slide the printable into a timeless, classy frame and then swap out the printables along with the seasons and holidays. Easy Peasy! You only need a standard size frame, pair it with a sweet mat, and you have a lovely piece of artwork for less than $20. 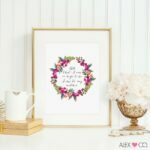 Next time you are looking for a fabulous, quick change-up in your home, a thoughtful, pretty gift for a friend, or maybe a sweet, inspired quote for your home office, a printable may just be the perfect answer. Matted Frame: This frame is matted for 8×10 printables and affordable! Thank you for sharing your creativity! It is inspiring for those of use who are less fortunate! This such a cute idea and so simple…actually, beautiful in it’s simplicity! Thanks for sharing! so fun! I created a similar glitter love printable last valentines for my house. Can’t get over glitter love! They are both lovely, so classy and simple. Hi there! I’m trying to download the “gold foil heart” print and the link directs me to a Publisher advertising site instead. Is it possible for you to email me a pdf form? Hi Teigen, the links are working for us! Please scroll down to the lines that say “Click HERE to download the…” and choose which one you’d like to download. Thanks!